This time around when I went back to Vietnam, the birthplace of my parents, I got to experience the culture of my own roots. As I was born and grew up in Norway, I never got the chance to wear our traditional dress. It could never fit into any occasion whatsoever. As you all may or may not know, the annual Lunar New Year (or what Vietnamese people call Tết) occurs every year around January-February. Unlike our western new year's day, which is on the first of January every year, the day we celebrate Tết varies from year to year. This all depends on the Chinese lunisolar calendar. 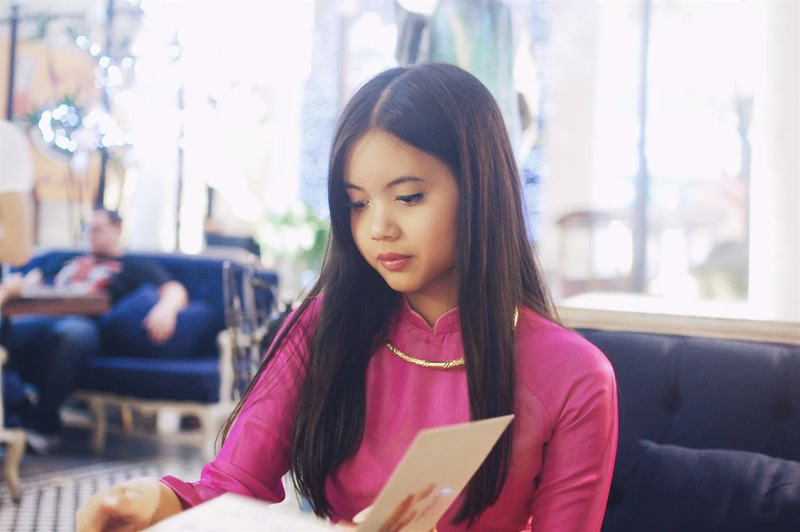 Not only have I never worn the traditional Vietnamese dress because there was no occasion for it, but even whenever Tết comes around, it falls on the coldest period of the Norwegian winter. Can you imagine Asian people wearing long, colorful dresses, combined with the biggest Parajumper jacket? Because I can, and it's horrendous. 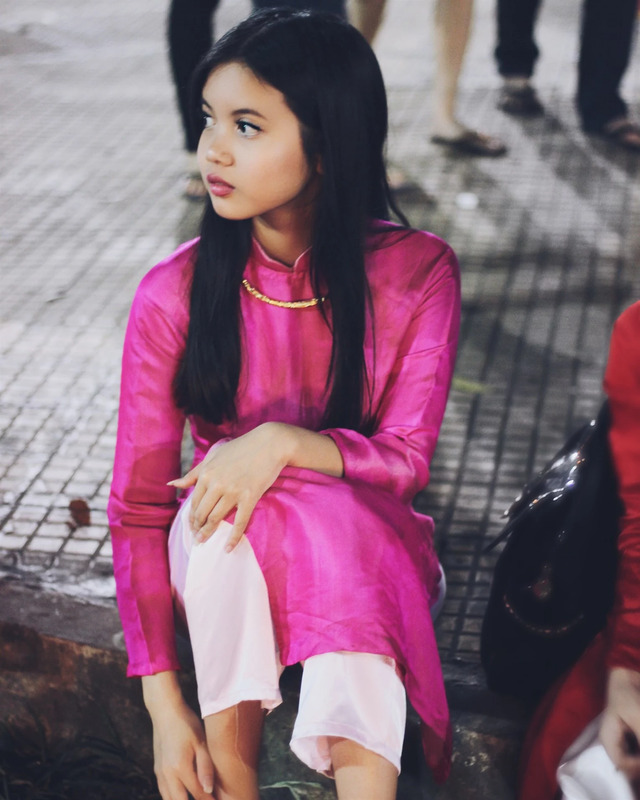 Jokes aside, I was sincerely honoured to wear an áo dài walking around the streets of Saigon. For the first time ever, I could wear it outdoors and totally fit in.